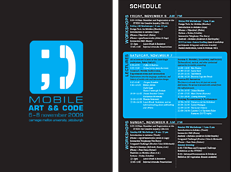 Mobile Art && Code » Matthew Kam et al. Matthew Kam is an Assistant Professor in the Human-Computer Interaction Institute at Carnegie Mellon University. One of his research projects investigates how e-learning games on cellphones can be designed to extend literacy and second language learning in rural areas and the urban slums in the developing world. He is embarking on a controlled experiment involving 800 rural children in 40 villages in India, with early replication underway in Kenya and China. His research has received major sponsorship from the MacArthur Foundation, Microsoft, National Science Foundation, Nokia, Qualcomm and Verizon. It was featured in the press in India, ABC News and a Canadian Broadcasting Corporation television documentary. Matthew earned all his degrees at the University of California, Berkeley: Ph.D. in Computer Science with a minor in Education, B.S. in Electrical Engineering and Computer Sciences, and B.A. in Economics. Anuj Kumar is a Ph.D. student in the Human-Computer Interaction Institute at Carnegie Mellon University. He has two years of experience in developing Flash Lite games on cellphones, which have been piloted in rural villages in India. These games aim to help rural children acquire English literacy in out-of-school settings. When he was an engineering undergraduate at the Dhirubhai Ambani Institute of Information and Communication Technology in India, he led his team to won three international competitions organized by Red Hat, Microsoft and IBM. These competitions required his team to design end-to-end technological solutions for pressing social problems such as sustainability, the democratization of content and caste discrimination in rural communities. Derek Lomas is a Ph.D. student in the Human-Computer Interaction Institute at Carnegie Mellon University. He is broadly interested in all aspects of videogames for learning, and leads several multidisciplinary teams comprising artists, engineers and educators to explore this design space. Derek received his undergraduate degree in Cognitive Science from Yale University, where he studied the cognitive basis for empathy and music perception, and his MFA degree from the University of California, San Diego. Manoj Dayaram is a graduating senior at Carnegie Mellon University who majors in Computer Science. As a research assistant in CMU, he has coached 10 new team members on videogame programming for the cellphone platform. He is interested in programming languages, tablets, music, and mobile devices.